Nucl. Phys. At. Energy 2015, volume 16, issue 4, pages 343-351. Received: 02.07.2015; Accepted: 10.12.2015; Published online: 12.02.2016. Abstract: Energy distributions of protons in continuum from D(d,p) reaction were obtained with 36.9 МеV deuteron beam of the U240 cyclotron accelerator of Institute for Nuclear Research of NAS of Ukraine. 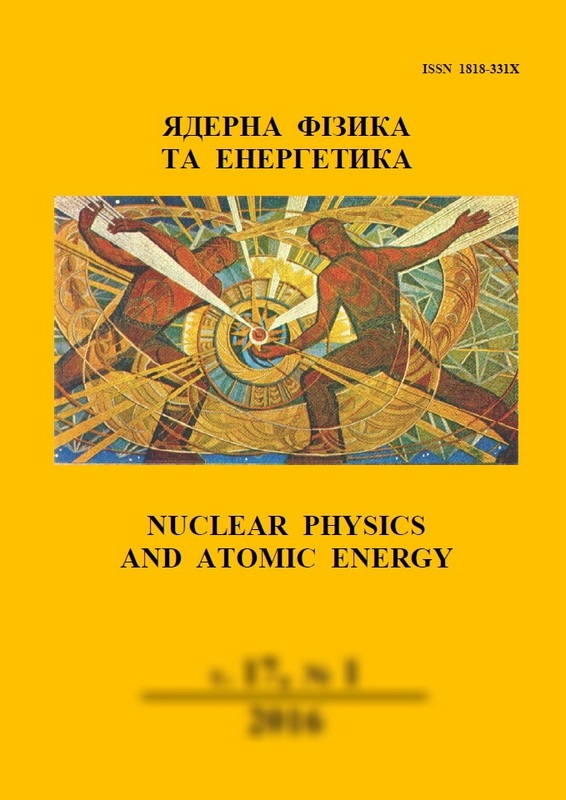 Analysis of energy distributions of protons in three-body break-up reactions were carried out according to the microscopic diffraction theory, developed by V. K. Tartakovsky. It is important that proposed model takes into account the contribution of final state interactions of np couples in singlet and triplet spin states. It was shown that for angle Θp∼15° processes of contributions of diffraction break-up and processes of interaction in final state are equally probable. For greater angles the contribution of deuteron diffraction break-up process becomes more important. Satisfactory matching of experimental and theoretical distributions of diffraction break-up is achieved by taking into account the final state interactions in exit reaction channel. Keywords: deuteron, d + d-reactions, energy spectra, microscopic diffraction model, break-up, final state interaction.